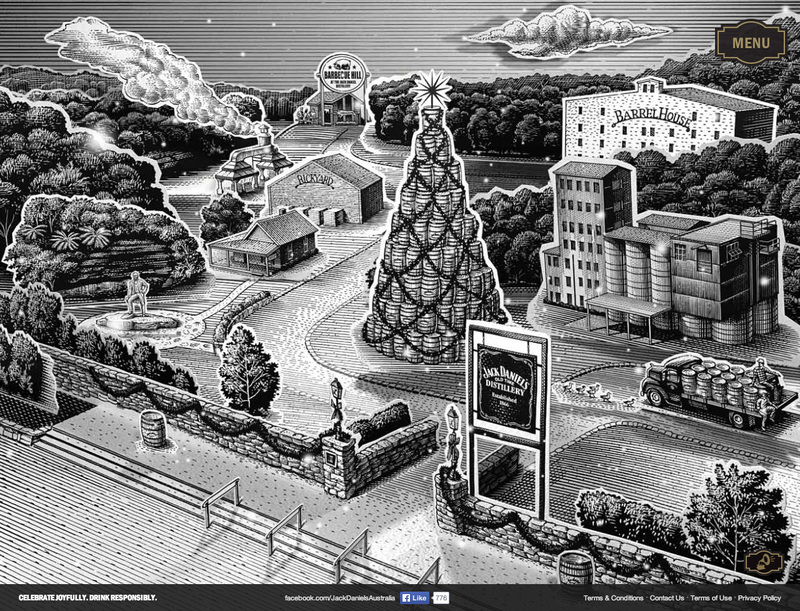 Jack Daniels have launched an awesome Christmas themed One Pager packed with recipes, videos, contests and more. The most impressive part is the sense of depth (especially in the snowfall) with a zoom effect as they take you around their brewery. Very impressive! Come on in, wander over to the Barrel Tree and you could win a bottle of limited edition Holiday Select. Send a Christmas greeting to friends who aren’t here and spice up the holiday season with our recipes on Barbecue Hill.